Joinery is the practice of mating wooden timbers together to create a timber frame. At Bayside Joinery Company, we stay true to our roots while simultaneously developing new ways to solve problems. One of our greatest innovations is our engineered timbers - hollow, lightweight, structural beams which will not crack or warp the way solid timbers do. 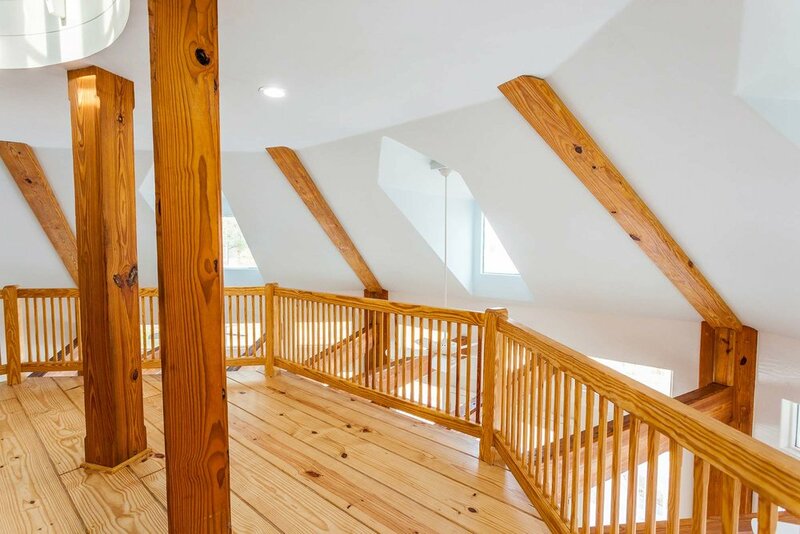 While the beauty and quality of our work speaks for itself, it is helpful to understand why our hollow engineered beams are superior to solid timbers. Strength where it's needed, nowhere else. Our hollow beams eliminate the "dead space" which typical of traditional timbers. This dead space runs along the core of the timber and adds nothing but extra weight. The hollow space in our timber also provides a convenient chase in which to run electrical, mount lights, etc. Our engineered beams won't crack and warp like solid beams do. Because our beams are made with a more stable wood, they are much less prone to warpage and cracking than a solid timber. As the wood dries, it can split and twist in unpredictable ways. Beams of virtually any size. 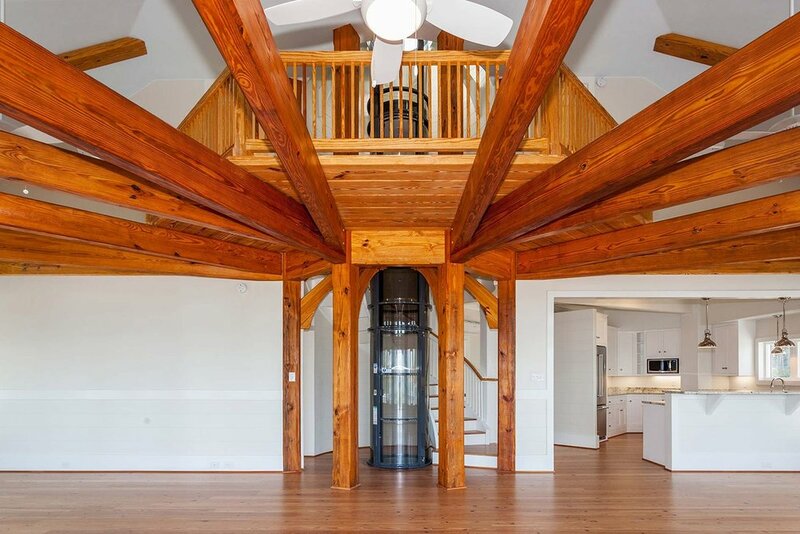 Because we don't rely on solid timbers cut out of a single tree, we can build strong, beautiful beams of any size which will last for many generations to come.